Wedding Show | Oshwal Association of the U.K.
Watch out for more news and information about one of the biggest events in 2019!! 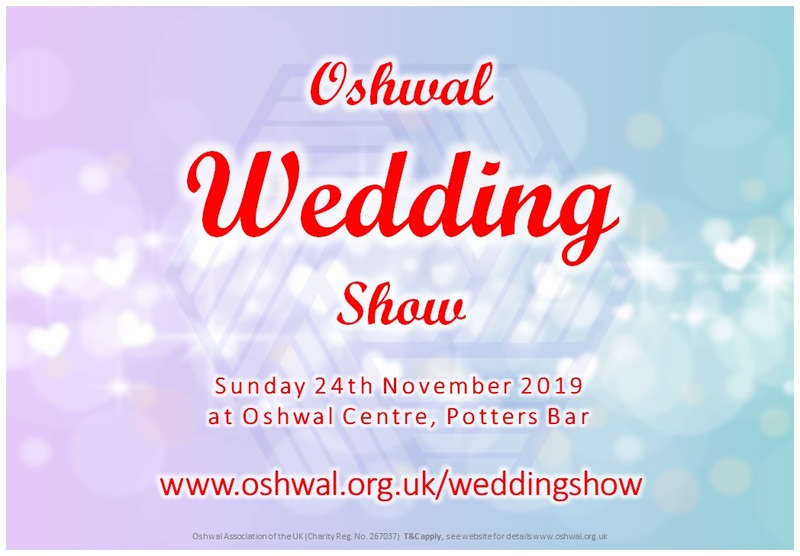 On Sunday 24th November 2019, Oshwal Association of the UK will be hosting the Oshwal Wedding Show! We will be posting more information in February 2019 about how you can get involved in one of the biggest showcase event’s of 2019! We will also be releasing an info pack for exhibitors in February 2019. To be the first to receive it, please register your interest now! Once registered, one of the team members will get in touch with you. If you are interested in exhibiting, what wedding service do you provide?